"These allow you to put a lot of mass in a small space. Perfect for the minimalist design of car, where you don't have a lot of spare space to locate weight." Eight 3/8" diameter cylinders weights for precision pinewood derby car weighting. The four .5oz cylinders are .44"long, two .3oz cylinders are .27" long and two .2oz cylinders are .18" long. Tungsten is the best weight for pinewood derby cars because it is about half the length of an equivalent lead weight and about a third the length of Zinc weights. Therefore, tungsten allows you to add weight exactly where you need it on your car. You can also remove more wood from your car, giving you complete car design freedom. Cylinders are 3/8" diameter so you can use a standard size drill bit for the hole. Another secret from the Derby Car Experts at Pinewood Pro. Great product at a good price and shipped fast. Really nice but expensive for what they are. I did not receive 6 tall slugs like I did last year. I received 4 tall slugs and 4 short slugs. Both add up to 3 Oz. but I assumed I would receive the same shaped slug. I still had the part number and bag from last years order and they stated the same part number. Scouts & Sibling Grand Champion!! Couldn't be happier! Helped my son win Grand Champion for Scouts and my daughter won Grand Champion for Siblings both this year! Way to end his Cub Scout career! Thanks! Worked great, dense metal in a small package. Fits nice in the predrilled holes in the rear of my car! Worked perfectly, will order from Joe again for my needs. The weights were easy to use, slid right into the pre-drill slots in the Corvette body. Made weigh in a breeze! Have gotten these every year so far, work excellent! I got these for my son. They were a perfect fit for his car and he won. Will buy again! Bought from before and will again in the future! Used these in the January 2014 race and my son's car was unbeaten. The compact size makes them easy to place in the optimal location. These weights, placed into a drilled hole over the rear tires, were just what we needed to give our car the perfect weight balance to take first place in our Awana grand prix! A wonderful product! While expensive, these will indeed enable one to take full advantage of the power of gravity within low-profile and smaller-sized car body designs. Won first place in pack division, and our car will now compete at the district level! These allow you to put a lot of mass in a small space. Perfect for the minimalist design of car, where you don't have a lot of spare space to locate weight. These weights are the best. We took 2nd place and the den leader (eagle scout) took 1st. Pricey, but SOOOO much better than zinc. Fast shipping! Our package was delivered without the weights due to damage during shipping. Joe was great about sending us a new set in time for our race! Thanks, Joe! I am a Tiger Den Leader and Cubmaster and conscientious parents have indicated that they much prefer these weights over lead weights. They are very accurate in their weight. These wieghts work great. Easy to use. Worked great will get again. I ordered the tungsten cylinder weights for my sons car. About a week later I received a phone call from a gentleman from another state. Here my package was inadvertently placed in with his. I called Joe from Pinewood Derby and he was very apologetic and helpful. He sent out another set of weights that week. They are very efficient because they are smaller and hold a lot of weight. They are difficult to fit properly without shifting weight in the car. I love to use them. Work great and do the trick! Using these weights allowed us to use less weights overall and to concentrate them farther back in the car. Our car took 1st place in every race this year! I also used the tungsten spheres to trim the cars weight to 5oz even. Will use again next year. 2nd this year 1st next ! Ordered 3oz of tungsten. Shipped quickly, was exactly what I ordered. 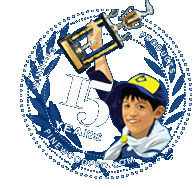 Won the pinewood derby, BTW, thanks!